The Aurora Group – We are a vertically integrated, global manufacturer of energy-saving, smart LED lighting solutions across all four elements of lighting: power, control, lamps and luminaires. Creative product ideation, R&D, innovative engineering, technology and marketing work together at the heart of our business. We seek to transform lives by providing lighting solutions that contribute to a healthier, sustainable environment. Aurora Group currently serves more than 70 countries, with 24 international facilities dedicated to R&D, manufacturing, distribution, sales and marketing. Nine interactive, sensory A.L.E.X showrooms are accessible at each of our international hubs to provide localised demonstration and education. More than 600,000 square feet of research and development and state-of-the-art, integrated manufacturing facilities in Asia, Europe and the UK translates to superior service for our customers. Ballinlough Refrigeration are the Main Dealers for Thermo King Transport Refrigeration, Dhollandia Tail Lifts, Euroengel R efrigerated Containers & Novum Refrigeration Technology. We also supply & m aintain Commercial Refrigeration equipment. Working from our locations in B allymount Dublin, Glanmire Cork, Ballinlough Roscommon, Oranmore Galway and our newly acquired 20,000 sq ft workshop on 5 acres at Brownsbarn in Dubli n 22 we provide solutions for industries from Food Service to Pharmaceutica l. Our specially tailored maintenance contracts on refrigeration equipment & tail lifts offer peace of mind to our customers and our experience in the Pharmaceutical Industry is second to none and includes Temperature Mapping and Validation. We also offer a one stop shop in light commercial vehicle fleet maintenance & repair. We take full responsibility of the fleet and ar range all maintenance, repair, damage & CVRT. All our services are availabl e throughout Ireland 24/7. You can check our website www.brltd.ie , call us on +353 (0)1 4600322 or email info@brltd.ie for more information. We are specialists in the design, manufacture and installation of larger bespoke fixed and portable vacuum systems and dust & fume extraction systems for pharmaceutical, electronics, engineering, food, manufacturing and cleanrooms industries. Ideal for general housekeeping, hazardous material collection and bulk vacuum handling, our innovative product range helps reduce cleaning costs, increases productivity and energy savings whilst also providing a clean and healthy building. We offer a Health & Safety audit with a specialist consultation and advisory service on all process vacuum, product waste management, clean air, housekeeping and product movement requirements. 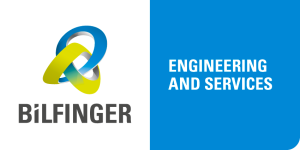 Bilfinger (http://www.bilfinger.com/en/) ), like no other company, brings together two complementary characteristics: engineering competence and a service state of mind. For industrial companies, the energy sector and users of real estate and infrastructure, we are setting standards with our exceptional performance in countries throughout the world. High quality, technological competence and extensive experience are the foundations of our success. Everywhere we work, we ensure that our clients can concentrate on what they do best; their core business. 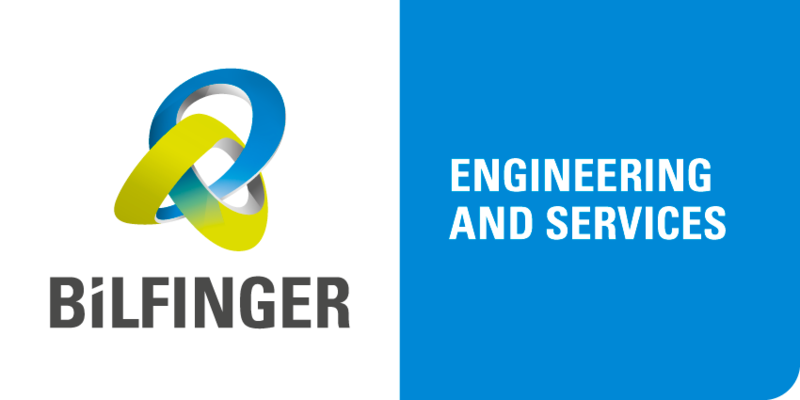 Through the commitment of our 70,000 people in the engineering and services group we make daily life work: We design and finance, maintain and repair, build and operate. For energy efficiency, energy saving measures, sustainable real estate operations and other issues of energy and environment, our Centre of Competence for Energy & Sustainability provides consultation on these topics to external clients and internal group units. We provide our clients with optimal consultation and support through our research and proactive development of strategies, tools, measures and processes. Our clients are from the industrial, retail, commercial, public, health and social services sectors as well as other non-governmental organisations. Our competence centre team consists of specialists in supply engineering, environmental management, economics, IT, technical facility management, electrical engineering and construction. The Biopharma Group comprises of Biopharma Process Systems (BPS), Biopharma Technologies Ltd (BTL) and Biopharma Technologies France (BTF). 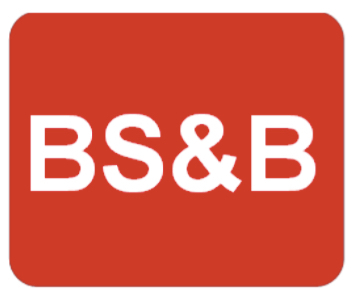 BPS is a leading supplier of equipment to the pharmaceutical, biotech and process industries in the UK, Ireland and France for freeze drying, solvent removal/evaporation and high pressure homogenisation technologies and industry related equipment. Our aim is to provide you with equipment and services that best meet your process requirements and to remain on-hand for assistance thereafter; our in-house service/maintenance department, enables us to support you throughout the life of your equipment. The BTL division provides independent R&D, analysis, process, product and cycle development services, training and analytical instrumentation to the global biopharmaceutical and related industries. Our philosophy is to augment your in-house expertise and work with you to make your project a success. Together with our knowledge of pilot-scale and industrial freeze-dryers, we offer a uniquely comprehensive service and training courses covering all aspects of freeze-drying from pre-formulation through to full-scale production and dried product analysis. The BTF division combines elements from equipment sales and access to the expertise of the consultancy division, giving our French-speaking clients a one-stop option. Visit www.biopharma.co.uk to discover more. Since designing the first rupture disk (bursting disk) in 1931, BS&B Safety Systems, continues to set the standard. Our commitment to technology, high quality manufacturing and quality by design, has earned us the ISO 9001 Quality System Certification. We are an international company with locations in North America (USA, Mexico and Canada), in EMEA (Ireland, Germany, UK, Russia, UAE) , South America (Brazil), APAC (Singapore, Malaysia, Japan, India China. 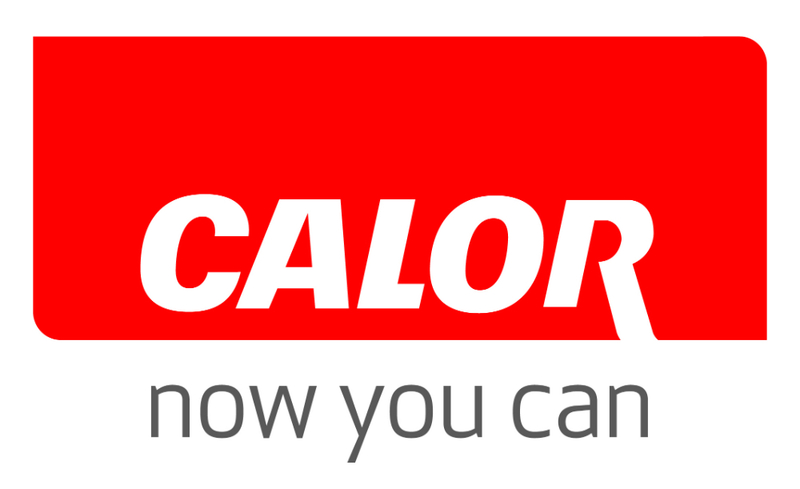 Calor LPG is one of the cleanest conventional fuels available, producing far lower carbon emissions than oil, coal and even electricity. The economy and efficiency that Calor LPG powered equipment offers can make a positive impact on a business’s bottom line and on the carbon emissions created during manufacturing processes. Calor recognize that energy efficiency and commitment to the environment are key considerations for Irish manufacturing companies and these sustainable goals need to be delivered through flexible and secure energy solutions. 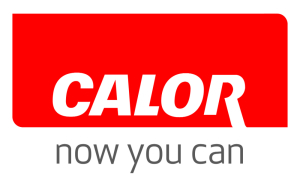 Calor engineers work in partnership with industrial customers to meet their individual needs with custom-made energy solution proposals, and they are available to project manage each aspect of an installation as required. This will include the gas system design and consultation throughout the project phases through to installation and commissioning. Calor is part of SHV Energy, the largest distributor of LPG worldwide, fueling industry, businesses, vehicles and homes in more than 27 countries. As such they have access to a secure supply of fuel, with strategic storage locations throughout Ireland. For further information or to speak to a Calor Energy Advisor contact Calor on 1850 812 450 (ROI) / 028 9045 5588 (NI), email info@calorgas.ie, or visit www.calorgas.ie. The coming together of CBRE’s Global Corporate Services and Johnson Controls’ Global Workplace Solutions begins a new era in commercial real estate & facility management delivery. This is a transformative event for our industry, our company, and our employees. GWS is uniquely positioned to deliver integrated, full-service solutions that are grounded in a Total Cost of Ownership perspective. With a globally balanced core business—Enterprise Facilities Management (EFM), Advisory & Transaction Services (A&T), and Project Management (PJM)—we are the clear industry leader in each. We partner with each client to make real estate a meaningful contributor to organisational productivity and performance. Certification Europe is an accredited ISO Certification Body serving a wide range of clients from SME’s, Multinationals and Government bodies. Certification Europe awards certification against a range of ISO Standards giving you a competitive advantage as well as driving quality, innovation & cost savings. ISO standards have helped company’s open up export markets and increase brand recognition and prestige. Proud of our expertise, we are considered an authority in Energy Management (ISO 50001), Information Security (ISO 27001), Environmental (ISO 14001), providing assessments as well as public and bespoke training courses in these areas. We partner with our clients to ensure their ISO certification becomes a valuable asset. With headquarters located in Dublin, we have local offices in the United Kingdom, Italy, Turkey and Japan. With 2 fully accredited laboratories in Shannon and Dublin, City Analysts are ideally placed to help manage all of your compliance or operational analytical requirements. The only commercial lab in Ireland with accreditation for aquatic toxicology, we can carry out toxicity testing to 4 trophic levels for discharges and API and a range of other sample types. Our scope of accreditation (INAB 138T) covers the full range of chemistry and microbiological tests for clean and dirty water, providing a one-stop shop for all of your analytical needs. Our fully trained site technicians cover the whole country in terms of sampling and our proximity to Shannon airport allows us to analyse samples from the UK and the rest of Europe. We can carry out bespoke projects and can provide courses and training on topics such as ‘Legionella awareness’ and ‘Legionella responsible person’ Our business started in 1997 and we maintain close long-term relationships with our clients who include; local authorities, pharmaceutical companies, hospitals, leisure centres, consultant engineering companies, bottled water companies, semi-state companies and private industry. Columbus McKinnon Corporation are a leading manufacturer of lifting and material handling equipment. A global organization incorporating internationally recognised product brands. We offer comprehensive solutions and turnkey lifting systems specifically adapted to the Pharmaceutical industry. Our products include ATEX and corrosion resistant lifting equipment, manual and electric hoists and a full range of working at height equipment. Columbus McKinnon has achieved international success due to the implementation of the highest levels of safety and quality standards and its close relationship to customers. Today you will find Columbus McKinnon, through its brands YALE®, PFAFF® and CM®, are ideally positioned to offer a complete material handling solution to your industry. Condair (formerly JS Humidifiers) is the leading humidification specialist for the global pharmaceutical industry and helps manufacturers decrease waste and increase yields through optimum humidity control. By working with clients’ research and development teams, Condair has managed to increase production yields in some pharmaceutical manufacturing environments by up to 60%. A comprehensive range of humidifiers is offered, including low energy systems that provide close humidity control with low energy cost and maintenance requirements. Condair provides a complete service of system design, manufacture, supply, installation and maintenance support. Crowthorne Hi-Tec Services (CHTS) is an independent service and validation provider with in-house fully trained engineers throughout the UK & Ireland. By being unaffiliated to any manufacturer, construction company or supplier of equipment/ facilities we are able provide impartial reports on your facility or equipment. Crowthorne Hi-Tec Services has a national and international reputation and works around the world for many ‘blue-chip’ companies and Governmental organizations and is employed as technical advisers for major projects including PFI hospitals, major containment facilities, Governmental agencies and construction companies. We are also actively involved in the development of training and certification of those involved with the validation of cleanrooms and clean air equipment, and can therefore be consulted to conduct efficacy studies to ensure that your facility meets evidentiary compliance standards prior to regulatory audits. To find out more about how Crowthorne Hi-Tec Services can assist you, contact +44 (1)252 372333. Dawsonrental is the market leader in providing Temperature Controlled Solutions to the pharmaceutical sector. We have specifically designed a range of rentable temperature controlled rooms to meet the industry’s exacting operational demands. We ensure our products will gaurantee compliance and qualification with all pharmaceutical regulatory needs. Dawsonrentals are the only provider of temperature controlled rooms that have a certified 30 minutes fire rating from FM Global. We provide rooms that have an operating range between -30c to +40c. This enables the flexibility of use as a freezer, + 2c-+8c chill, +15 to +25c temperature controlled environments, or incubators, for all clinical trials and licensed pharmaceutical products. In addition we also provide specialised low temperature -42c walk-in rooms. If you would like to know more about our product range please visit us at STAND 6 where we will be happy to help. EECO2 provide expert guidance and practical resources to help clients reduce energy costs of operating pharmaceutical, biotech and laboratory facilities. Our experience enables us to create solutions that maintain or improve GMP compliance and safety, whilst substantially reducing energy cost, consumption and associated CO2 emissions. Typically, Heating, Ventilation and Air Conditioning (HVAC) systems operating within regulated environments can consume up to 80% of the site total energy. By focussing on the environmental conditions required for the product being manufactured or people being protected, we can define what conditions need to be delivered by the HVAC and associated plant and will always aim to re-engineer existing plant to avoid unnecessary capital expense. The scope of work can span from opportunity identification and initial concept development through detailed design, installation, commissioning, validation & pre/post project energy monitoring. Our clients, including GSK, Pfizer, AstraZeneca, Sanofi, Eli Lilly & Novartis rely on us to deliver innovative and proven energy reduction solutions at sites all around the world. Contact us to discuss your needs. EMC Ltd., operating since 2001, are an Engineering and Energy services company with offices in Galway and Athlone. At Future in Pharmaceuticals,we will be available to discuss Products and Innovative Technologies/Services, geared towards enhancing Processes and Reducing Operating costs within the Pharma Sector. EMC represent World Leaders in Technology e.g. ABB; Eurotherm, Schneider and SMC, providing our customers with modern State of the Art products and Turnkey Solutions, to meet their needs. These include: Validated Processes and Data Recording; IP67-69 Safety Components; Thermal Equalisation and Air Purification; High Purity Components; Stainless Steel Pressed Fittings; Energy Saving; Water Treatment and Reduction. EMC specialise in providing complete Thermal Heating solution to Pharmaceutical Industries, from Thermosensors and Heaters through to simple and complex control components/strategies. 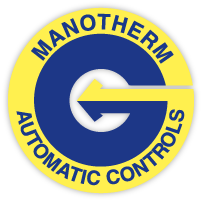 Equalises Temperatures in High Ceiling Buildings( Warehouses) and large open spaces, enhances product integrity. PureAir version kills over 97% of Airborne viruses and Bacteria and Eliminates Odours. As part of the Better Energy Programme the Irish Government has placed an obligation on key energy utilities, fuel importers and named market players to meet specified energy saving targets as part of a multi-annual programme. 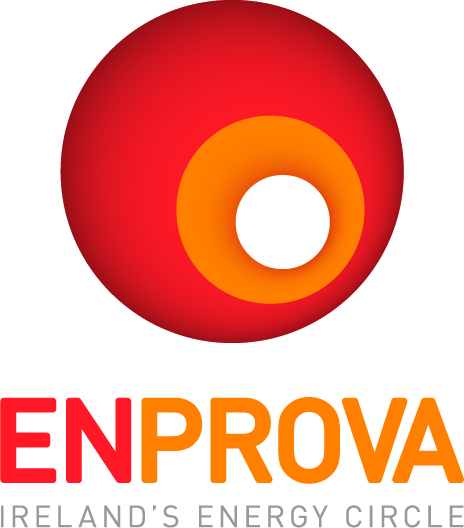 ENPROVA has been set up by the Irish Petroleum Industry Association (IPIA) to achieve these targets. In order to meet these obligations we are required to become actively involved in aiding and incentivising organisations to achieve energy savings, and maximise their effect. Ireland’s leading publication dedicated to every aspect of environmental management and energy efficiency at industrial, commercial and municipal levels. For over 11 years Environment & Energy Management has provided it’s growing readership (now 12,000) with analysis and insight into the latest technologies and services available within Ireland, while our editorial team focus heavily on investment, business profiles and the future of the energy sector in this country. As a publication written by acknowledged experts in their fields, Environment & Energy Management is disseminated to a controlled and targeted readership of over 12,000 key decision makers in Central & Local Government, the Professional/Services Sector (including Environmental Consultants, Engineers, Laboratories, all Third Level and other training/research Organisations, the Legal Profession and Agencies specialising in environmental protection and energy efficiency) – and, with particular attention to Small & Medium Enterprises, all sectors of Irish industry as follows: Food & Beverage; Pharmaceutical; Chemical; Medical; Electronics; Plastics; Packaging; Motor & Transport; Finance & Insurance; Textiles; Agriculture and Tourism. ERM is a leading global provider of environmental, health, safety, risk, social consulting services and sustainability related services. We have more than 160 offices in over 40 countries and territories employing more than 5,000 people who work on projects around the world. Over the past three years we have worked for more than 50 per cent of the Global Fortune 500 delivering innovative solutions clients helping them understand and manage the sustainability challenges they face. We support the pharmaceutical and healthcare sectors across the life cycle of their projects and operations, from new market entry, regulatory compliance, and product stewardship, through to waste management, asset retirement, safety transformation and climate change risk. Our clients include major pharmaceutical companies such as Johnson & Johnson, GSK and AstraZeneca and healthcare service providers such as the NHS. EURO-DIESEL are leaders in the Uninterruptible Power Supply market. Our system is installed between the incoming utility supply and your site critical load. Its dual purpose is to condition the utility supply to ensure stable power to critical loads and to ensure a continuous supply, without interruption, in the event of mains failure. Our latest product evolution is the KS7e delivering up to 3000kVA in a single module. Designed and engineered to give best in class power density, minimal footprint and industry leading PUE. Plant safety is paramount and Fike is your natural partner when it comes to explosion, over-pressure and fire protection systems. Overpressure or vacuum events can be devastating, leading to personal injury, damaged equipment and downtime. Fike’s rupture discs offer an affordable solution; with hygienic/sanitary grade options available. From protecting a single PRV to your complete process line; Fike products are a critical part of your strategy. Many pharma products are explosive in certain conditions during the manufacturing process. Fike manufacture possibly the largest range of active and passive EP equipment available in Ireland. We do not resell others equipment so can tailor a bespoke explosion protection system in house. From passive external venting though to fully active isolation and suppression systems. For fire protection the SigniFire camera is ground-breaking technology and can detect fires valuable minutes before ‘standard’ detection equipment, once detected this can be extinguished via many options including clean & chemical agents, or water-mist quenching systems. Please visit our stand for more details. GxP Systems, a leader in compliance and validation services, provides world-class compliance and validation services to multinational clients in regulated industries. Leading businesses in the biotech, medical device and pharmaceutical industries choose GxP Systems to achieve regulatory compliance and to systematically and continuously lower internal costs, without compromising compliance or quality. We have earned a reputation for excellence and reliability by maintaining a team of the top engineering and project management experts in the regulated industry. When combined with our innovation and targeted technology, this expertise enables us to create strategic solutions and deliver results in competitiveness and compliance. Height for Hire supply a wide range of aerial platforms across Ireland and Britain, from Battery and Diesel Scissor lifts to Articulated and Stick Booms, from Truck Mounted and Trailer Mounted platforms to Telescopic Forklifts, not to mention an extensive variety of Spider Lifts. Founded in 1982 primarily to service the burgeoning Irish pharmaceutical industry, Induchem Group has grown to become one of Ireland’s premier suppliers to process industries across all disciplines. Induchem Group serves a diverse range of customers including pharmaceutical, bio-pharmaceutical, food & beverage and power & energy throughout Ireland & the UK. Induchem Group have a reputation for delivering top quality products backed up by knowledge & customer service second to none. Always dynamic & flexible, Induchem Group have the ability to respond quickly to customer demands and industry changes. With this in mind, Induchem have partnered with market leaders to deliver services such as, Energy Audits, Steam Surveys and a Valve Repair & Test facility capable of working on all makes of valve either in-house or on-site. With a focus firmly on satisfying customer needs, Induchem Group are your preferred supply partner for energy savings & process improvement projects. Label Craft a self-adhesive label manufacturer that can supply the complete innovative label solution for your business. Label craft are celebrating 25 years of being creative market leaders in the label industry. Our business focus is to provide a high quality label printing capability along with service and customer flexibility .Our self–adhesive label products are designed for the Pharmaceutical Industry and adhere to all quality awards. In following up on The corporate objective, Label Craft are one of only a number of companies in Europe to invest in the latest HP Indigo Label Press technology. This gives a total control of the 100 % quality and service offered under one roof. Label craft can offer you the Product for your application at a very competitive price and in time to meet your needs. This commitment to quality and understanding of our customers’ needs has been the key to the on-going success. Lightsource Renewable Energy was founded in 2010 and has achieved an unrivalled track record in the installation of both ground mount and rooftop solar projects. Currently the leading solar photovoltaic (PV) energy generator in the UK and Europe, and one of the top ten largest solar PV energy generators globally, Lightsource has deployed more than £1.7 billion of solar assets and manages an operational portfolio of more than 1.1 Gigawatts (GW) – enough to power more than 330,000 households each year. Lightsource believes that, with proper support mechanisms, solar can deploy 1.5GW of generating capacity by 2020 and meet more than 5% of Ireland’s electricity demand. Its in-house team of experts create bespoke photovoltaic (PV) solutions for business and domestic use, offering full service capability from initial design and planning through to ongoing operations and maintenance. Lightsource has more than 320 staff based at offices in London, Bath, Livingston, Belfast and Dublin. To find out more, visit www.lightsource-re.co.uk. At this years exhibition we will be exhibiting the VP Instruments range of compressed air flowmeter ideal for air auditing, energy monitoring air leakage monitoring. We will also be exhibiting the energy efficient long life Domnik steam trap this uses no live steam to operate. We will also have a full range of valves controllers data logger and sensors for flow pressure level temperature humidity parameter , water leak detection sensors for data centres and IT infrastructure from well know manufacturers such as Dwyer West Johnson controls Gemini Influx Flowmon Mankenberg and Afriso and Andel . MM Barcoding (Ireland) Ltd is a long established company specialising in automatic identification.We supply a full range of barcode printers, scanners,verifiers,label making and asset tracking software as well as portable on line validation systems. In line with our policy of continuous product development,we have just launched our new unique printer with on board barcode verification which ensures that no barcodes are produced which will fall below the required quality. All products are backed by our in field service network supplying on site service,maintenance and parts. OEEsystems International are OEE Experts and Innovators delivering our premier OEE Software PerformOEE ™ globally to progressive Life Science & Chemical companies like Allergan, GE Healthcare, CooperVision & Solvay. It helps them to improve manufacturing competitiveness and deliver operational excellence by optimising their production processes, enabling them to increase output and reduce production costs. PerformOEE ™ is an automated, accurate, real-time OEE manufacturing intelligence solution that provides superior process visibility, the ability to accurately track losses and a continuous stream of manufacturing root cause losses to focus on and fix. PerformOEE™ can be deployed across all processes including Discrete, Batch/API & Continuous manufacturing. The software can link to existing automated data collection systems, has a short implementation timeline and productivity improvements of up to 30% and a R.O.I. can be achieved in 6 months or less. Head Office: OEEsystems International, Clonmel, Co. Tipperary, Ireland. OneLook-SafePermit is a Cloud based Permit to Work and Contractor Management system used to upgrade your existing manual, paper-based or internally developed means of managing these processes. Moving to this Lean Electronic system, companies will dramatically improve safety and compliance while reducing delays and errors associated with paper processes. SafePermit monitors all Contractors coming on-site and will enable you to conduct, in advance, all required risk and hazard assessments while also flagging scheduling conflicts before they occur. The system has proved itself to be robust and rigorous and is easily installed and scalable to multiple sites. Simple to use, it can retain the functionality of your existing system – including your existing paper Permit. The ease of facilitating Contractors to submit Permits before coming on-site and the very practical advantage of accessing and managing Permits through iPads and Smartphones. Premium Power is an electrical engineering consultancy providing safe, reliable, and cost effective solutions for the pharmaceutical and manufacturing industry and utility and renewable sectors. Headquartered in Dublin, Ireland the company also operates an office in Birmingham, UK. Premium Power design and deliver specialist electrical systems, using system studies, power quality and reliability mitigation solutions. We specialise in delivering electrical resilience, electrical safety and electrical design. Electrical safety and resilience is vitally important for large industrial sites to help safeguard against equipment failure, downtime and damage and risk of injury to employees. Pharmaceuticals in particular need to know that their power supply is of high quality and reliability. As a long-term partner to the pharmaceutical industry, Siemens offers a complete portfolio of standards-based solutions that meet the specific requirements of the sector including low voltage switching technology, drive technology and industrial automation solutions. A safe and reliable power supp ly is crucial for the high availability of your systems. Our solutions for low-voltage energy distribution contribute significantly to a demand-orient ed 24-hour supply. They are based on an end-to-end energy distribution solution Totally Integrated Power and intelligent network planning from the energy feed-in to the delivery points, such as the motor control center. In addition, our energy management systems make it possible to optimize energy consumption in industrial as well as buildings. Equipment with high energy consumption is identified and effective optimization measures are implemented. You benefit from an intelligent solution for energy supply and distribute ion to your production units a solution that is implemented according to th e strictest safety standards and continuously achieves high productivity an d product quality. environments and patient care. Our customers include Pharmaceutical plants, data centres and hospitals requiring critical environmental control. SIRUS offers a full range of HVAC Services including commissioning, maintenance, validation, and consultancy. Sirus has completed significant HVAC turnkey projects throughout Ireland including Chiller replacement, Air Handling Units & Complex Air Conditioning systems. Sirus also provides consultancy and project management for energy driven projects, with particular emphasis on the building services area which is our core expertise. Our extensive experience allows us to tailor a solution to your particular requirements – offering a broad network of new valve agencies, and the expertise to design effective re-manufactured solutions from our own workshop. The high level of service and operation we provide, has enabled Valve Services to become the very first valve repair service to attain the standard of procedure management and execution required for ISO 9002. From pre-sales to support, repair and re-manufacturing Valve Services has built up a reputation and a level of expertise that is unrivalled in Ireland with clients from the Pharmaceutical, Power Generation, Dairy & Brewing industries. Quality, Reliability and experience are not simply ideals – they are by-words for everything we do. Valve Services operates from a bespoke facility in the heart of Cork’s Pharma-Chem industry. VERDE LED, headquartered in Ireland, is a market leader and one of the largest commercial LED Lighting manufacturers and suppliers in Europe. VERDE LED has a global presence in the pharmaceutical, industrial, data centre, call centre, retail and commercial/office sectors. Focusing on quality design and certification, VERDE LED product meets the most stringent specification requirements globally. VERDE LED has a Design team who specialize in lighting design for new or existing facilities and a dedicated R&D Department optimizing product development to ensure that the product supplied is of premium grade with the highest quality components, longest warranties and highest output per watt on the market. VERDE LED work with architects, engineers, mechanical and electrical providers, government bodies and distributors. All our products have lighting design software files available on the website and some larger case studies are available as a reference point for new and existing clients. Virginia International Logistics are a family owned business, coming up on 33 years in operation. Virginia International Logistics head office is based in Virginia Ireland with other depots in Dublin and Tamworth. We operate over 80 trucks with full satellite tracking, 220 trailers made up of Fridges, Euro liners, Container flats, low loaders and double deck trailers. We specialise in Temperature controlled Fridge and Reefer, with live temperature tracking and reports. Dry and Containerised freight, Transport and shipping services, Storage – Warehousing and logistics services, Freight Forwarding, Customs clearance, Specialised equipment. We are Pharma Approved with GDP passport and our drivers are also ADR and GDP trained. We offer Freight forwarding services, 2PL, 3PL and 4PL logistics. We operate on a global level to meet the needs of our customers. At Virginia International Logistics we believe in progress through partnership with the highest industry standards and the latest technology. Zenith Technologies is a global Life Science Enterprise Integration Partner, specialising in delivering MES, Automation and Process Control solutions to Life Science companies including the; Pharmaceutical, Biotech, Medical Device, and Bulk Chemical industries. Zenith are world leaders in designing and implementing manufacturing software systems that make businesses compliant and competitive. Zenith work with 9 out of the Top 10 Pharmaceutical and Biotech companies globally, to deliver performance improvements that drive operational excellence. Operating across five continents, their engineers and consultants are guiding and supporting clients across the globe at any given time. Through a culture of innovation they continue to bring new products and services to the Life Science market.